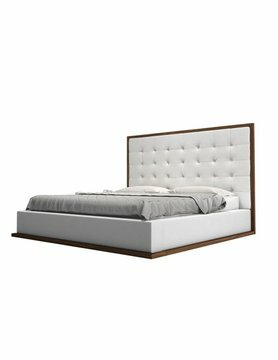 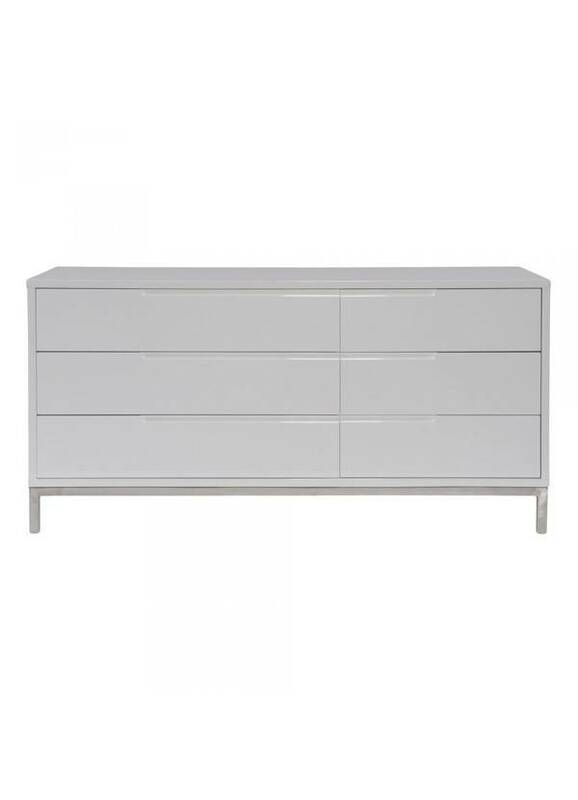 The sleek modern design lends itself well to the Naples Dresser. 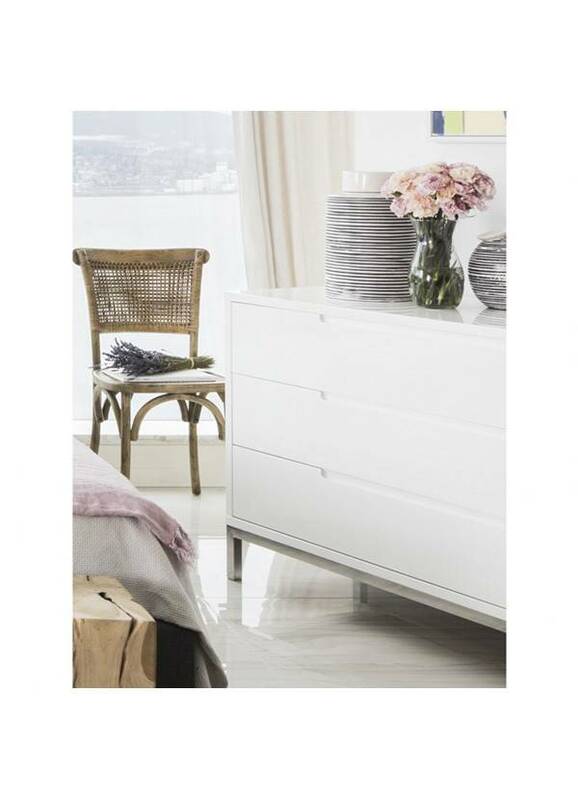 With a shiny white lacquer and polished stainless-steel detailing, this dresser brightens up your space, while adding a significant amount of storage. 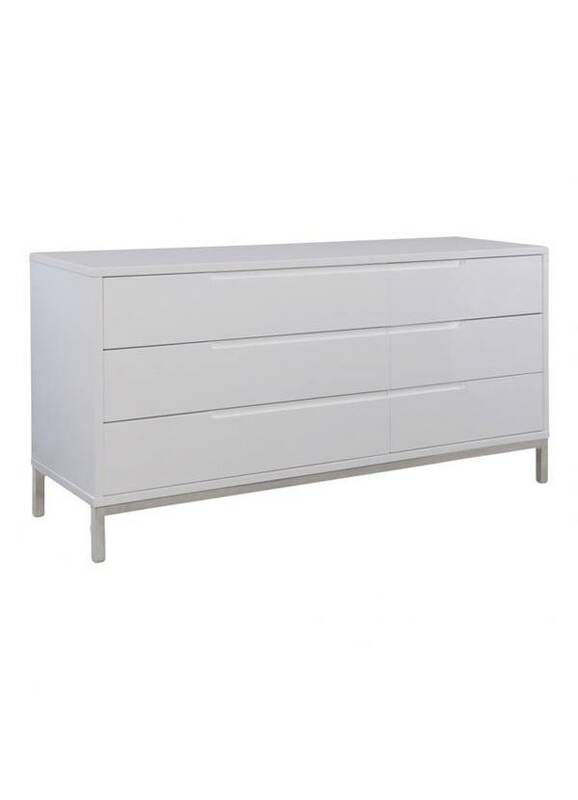 Six soft-close drawers make this dresser an ideal unit for sharing or keeping all to yourself.